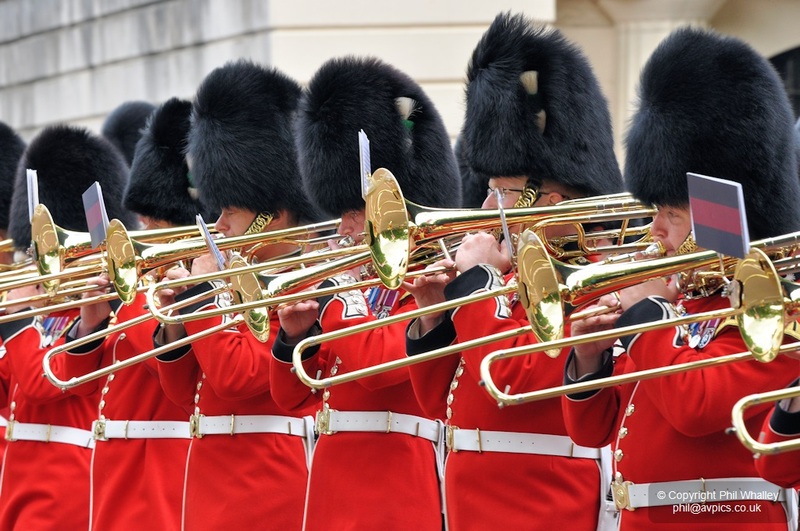 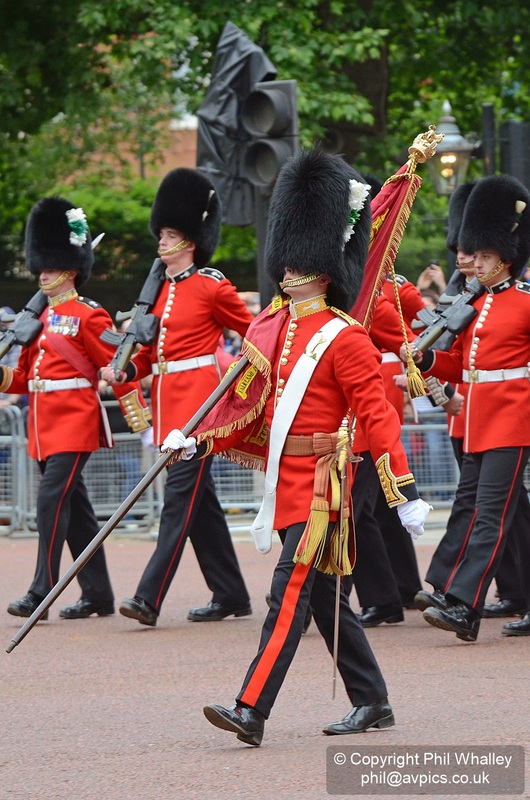 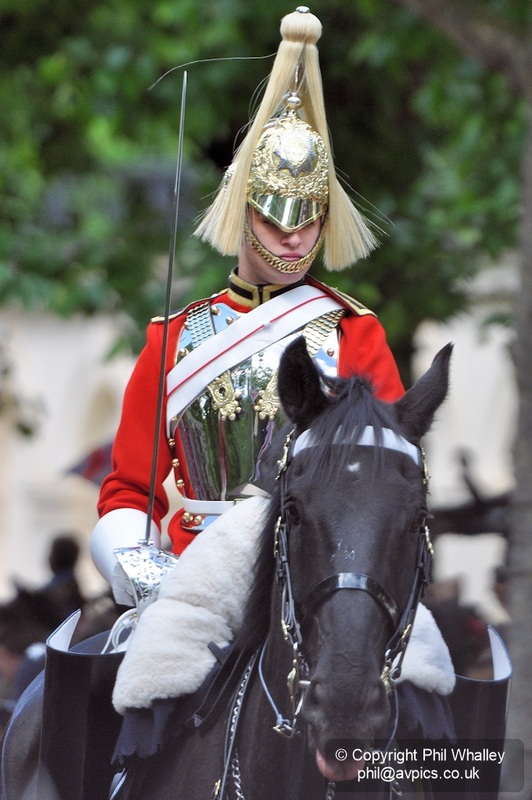 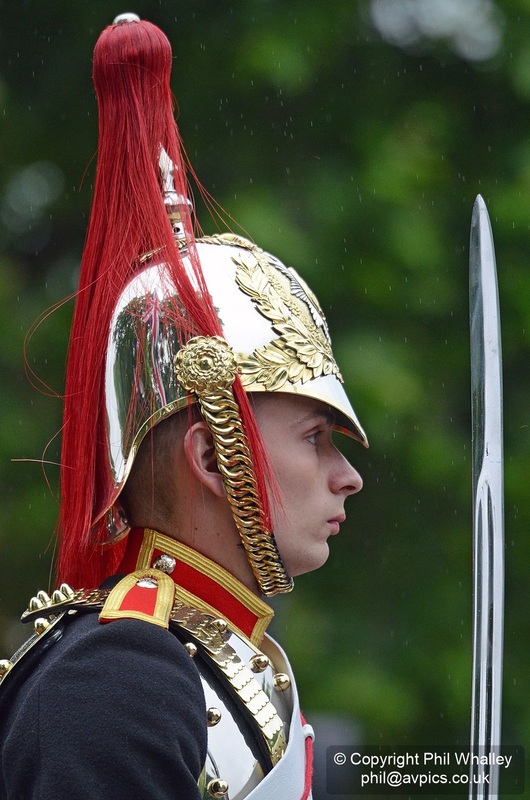 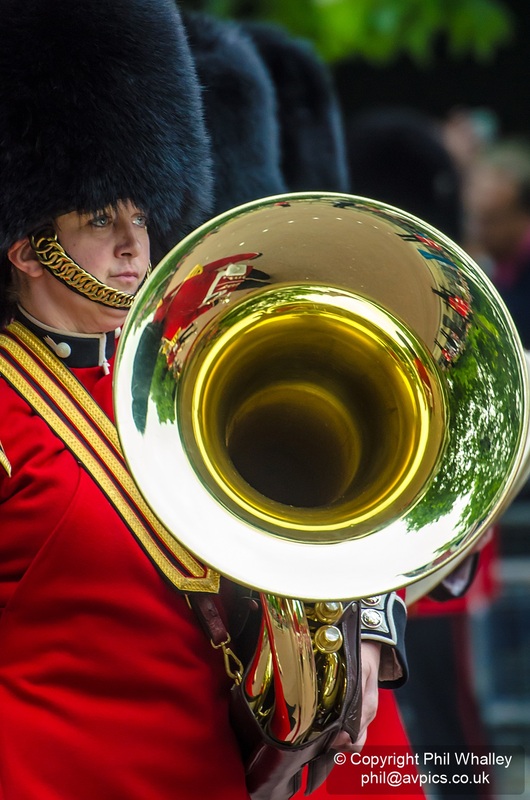 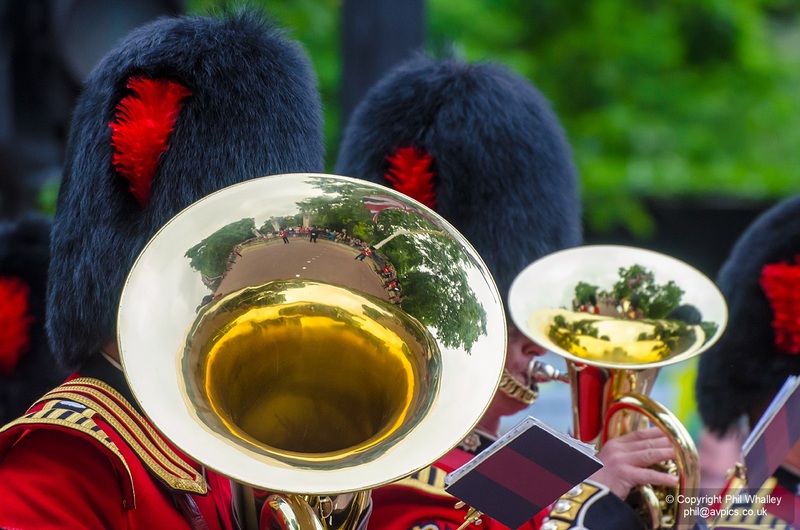 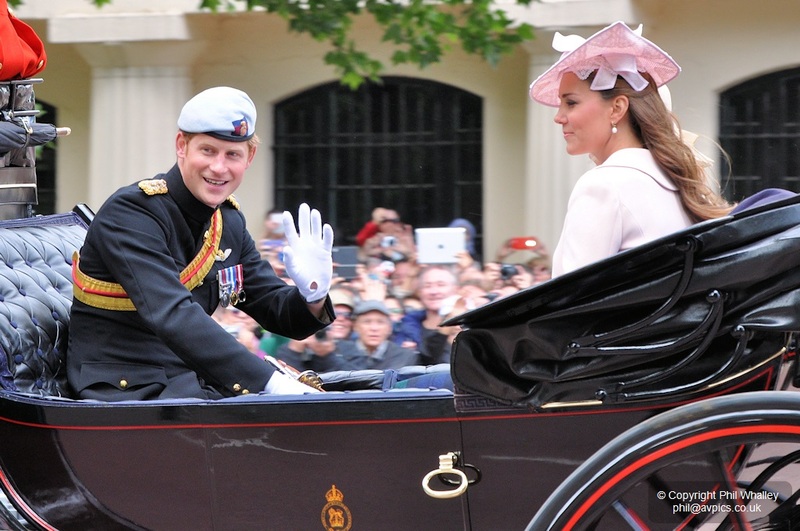 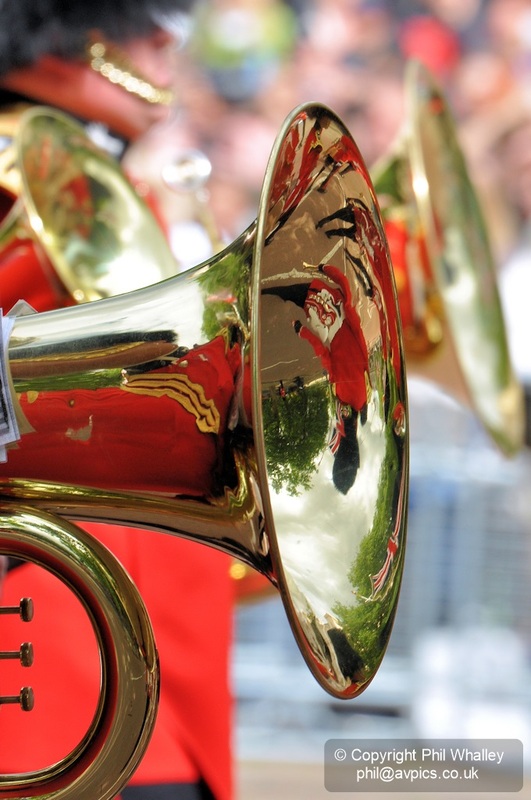 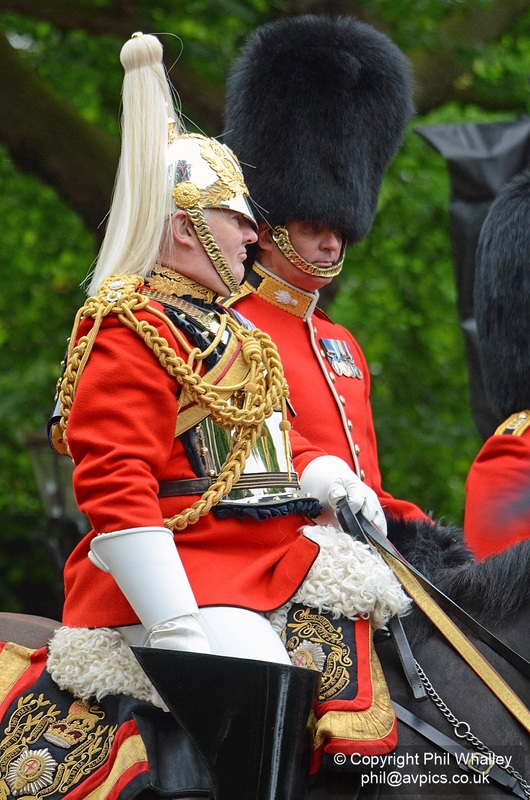 The centuries old tradition saw the Colour trooped by 1st Battalion Welsh Guards, with the Royal Family and military bands passing down The Mall from Buckingham Palace to Horse Guards Parade and back. 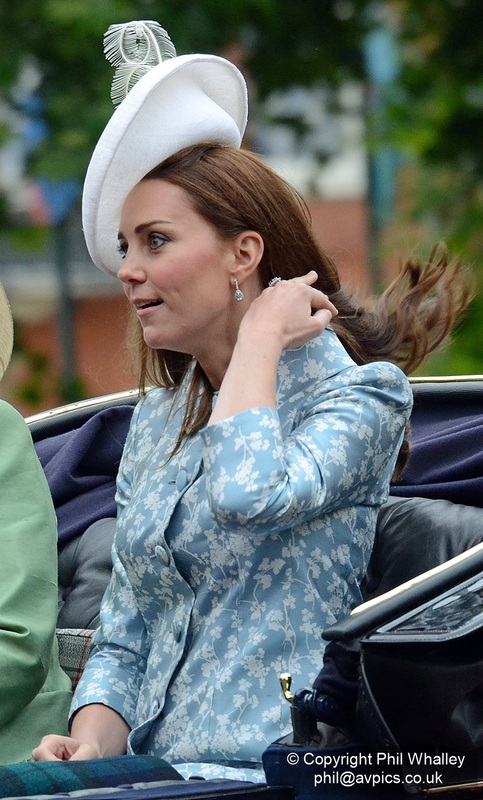 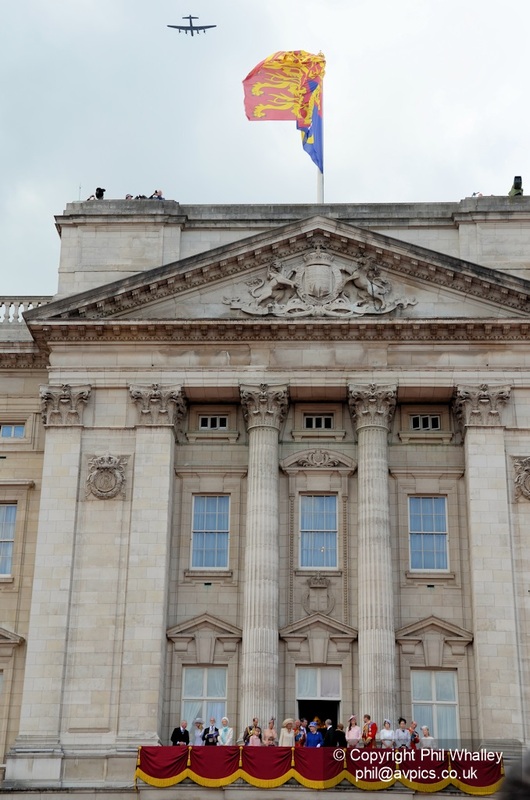 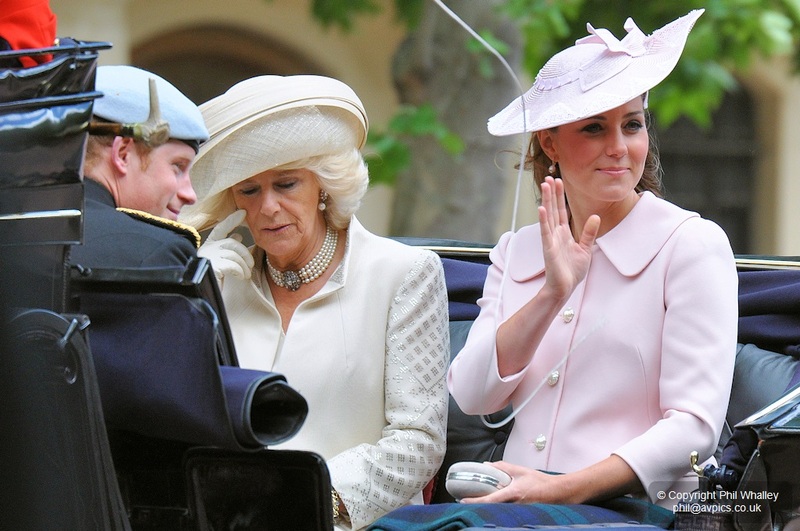 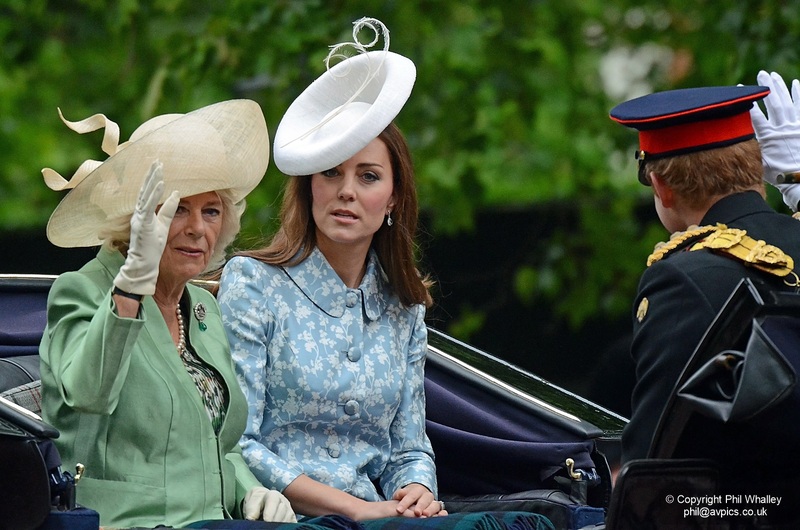 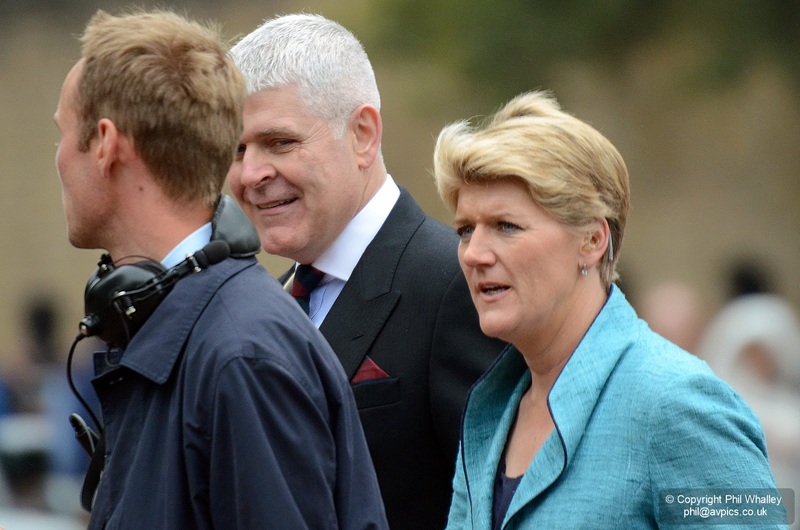 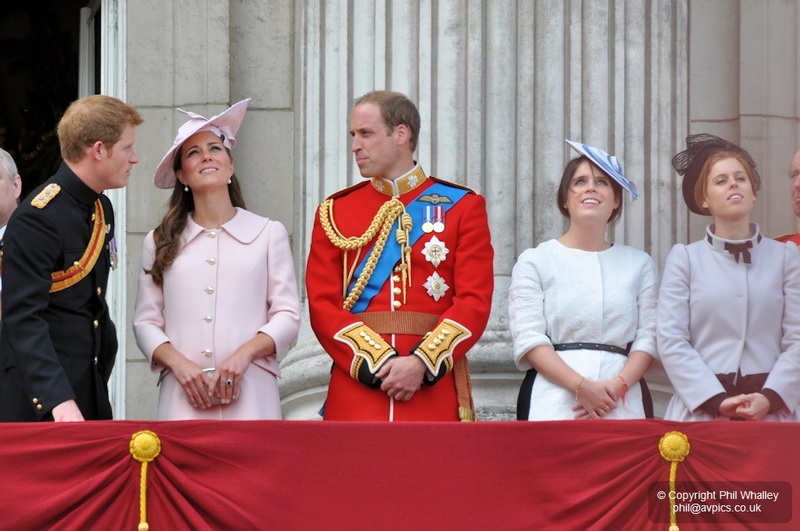 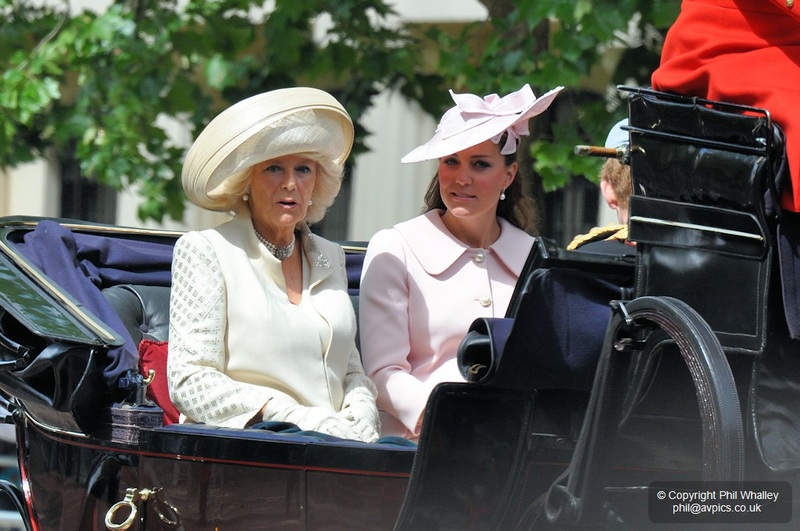 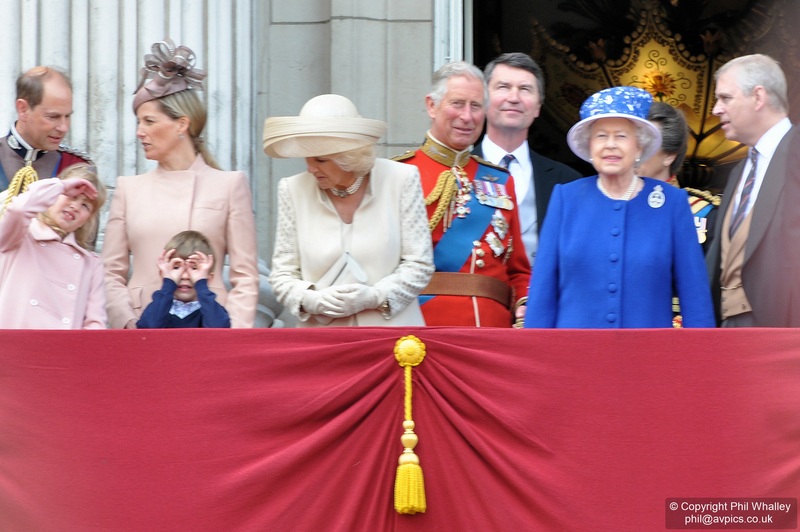 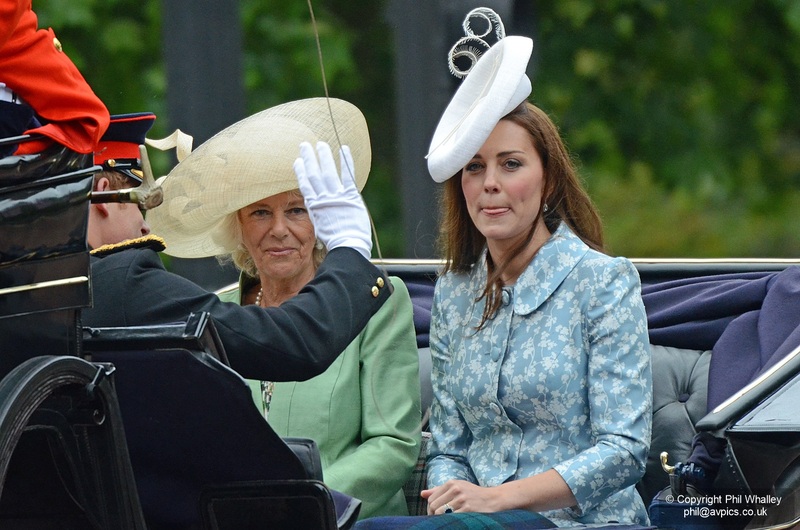 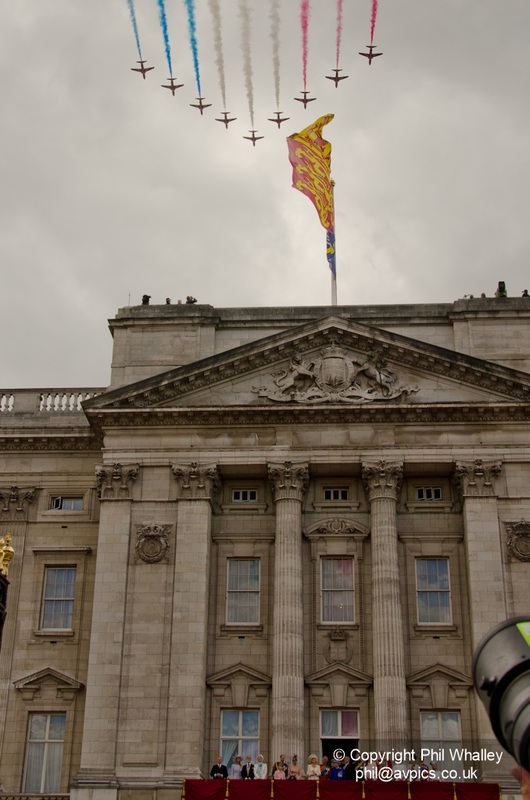 Upon their return the Royal Family viewed the Queen’s Birthday Flypast from the balcony of the Palace. 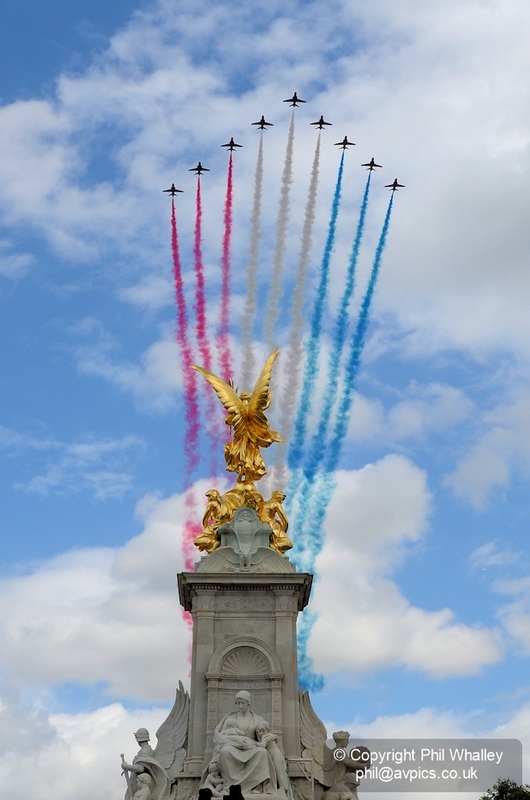 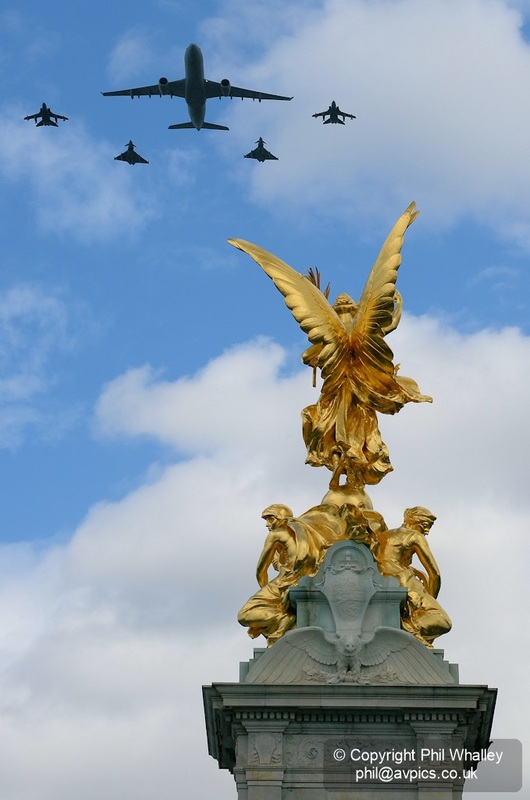 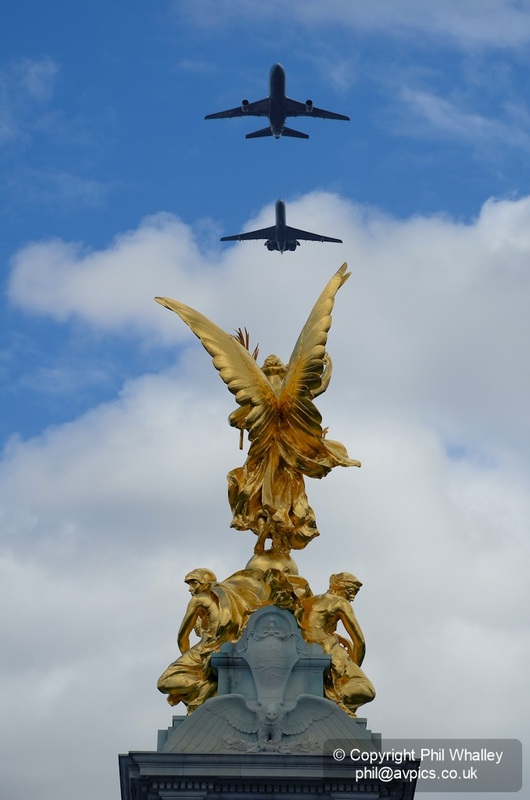 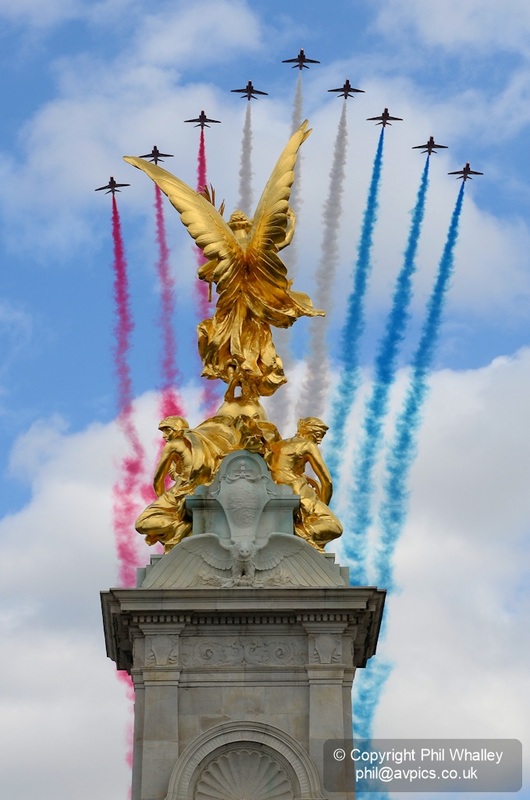 The Flypast was planned to include current aircraft of the RAF, plus the Dakota, Spitfires and Hurricanes from the Battle of Britain Memorial Flight, and to be concluded by the Red Arrows. 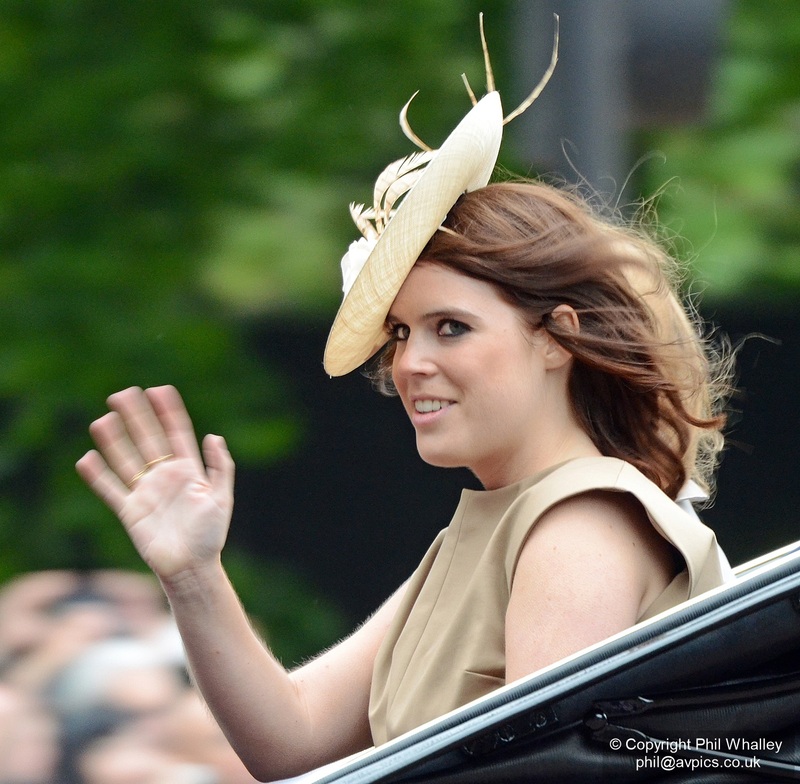 Sadly the drizzle and low cloud on the day precluded all but the latter. 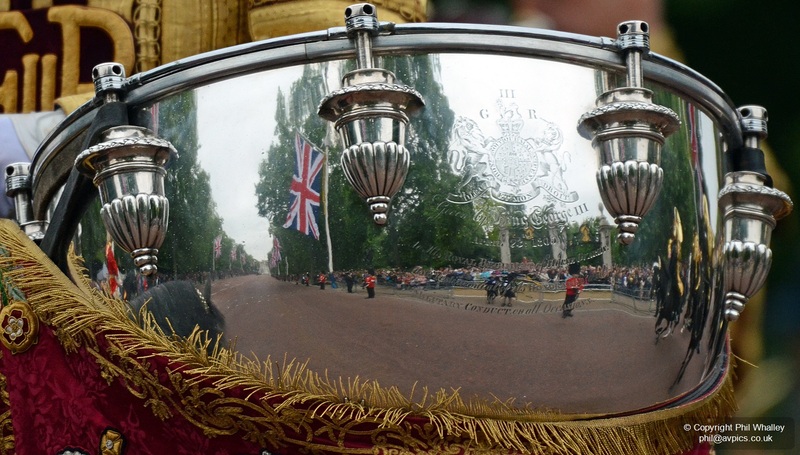 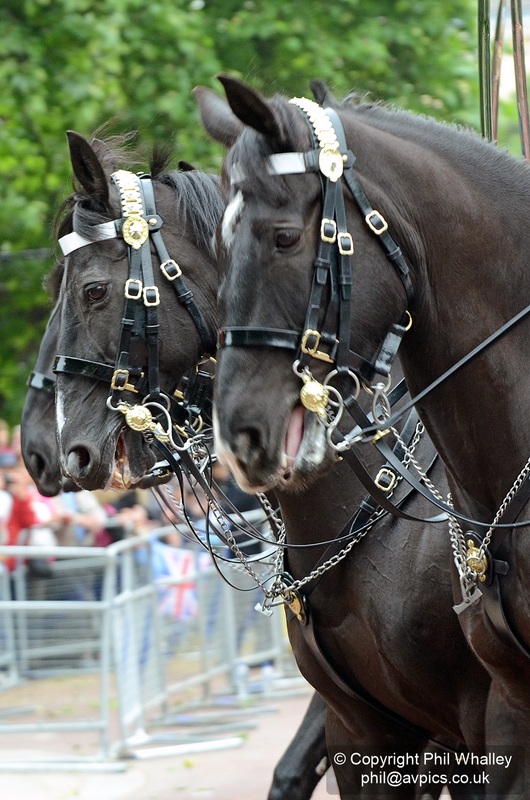 The images below cover the Trooping the Colour procession passing along The Mall near Buckingham Palace to and from Horse Guards, followed by the Queen’s Birthday Flypast. 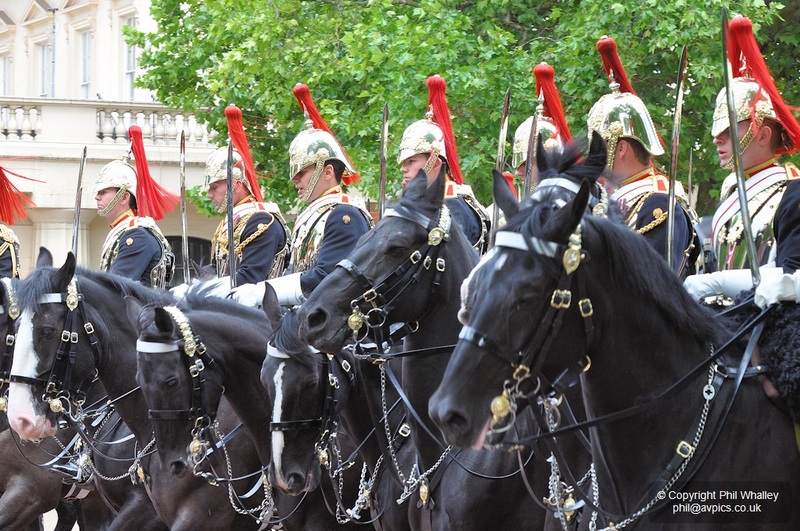 Trooping the Colour is a ceremony performed by regiments of the British and Commonwealth armies on Horse Guards Parade. 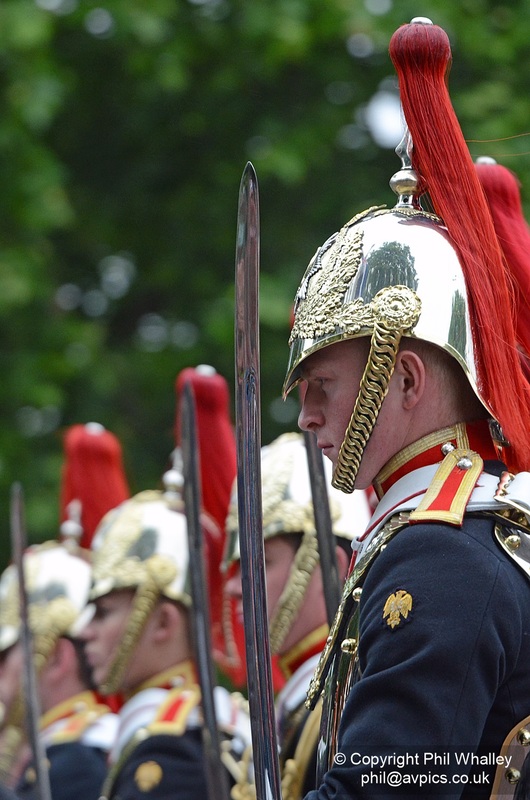 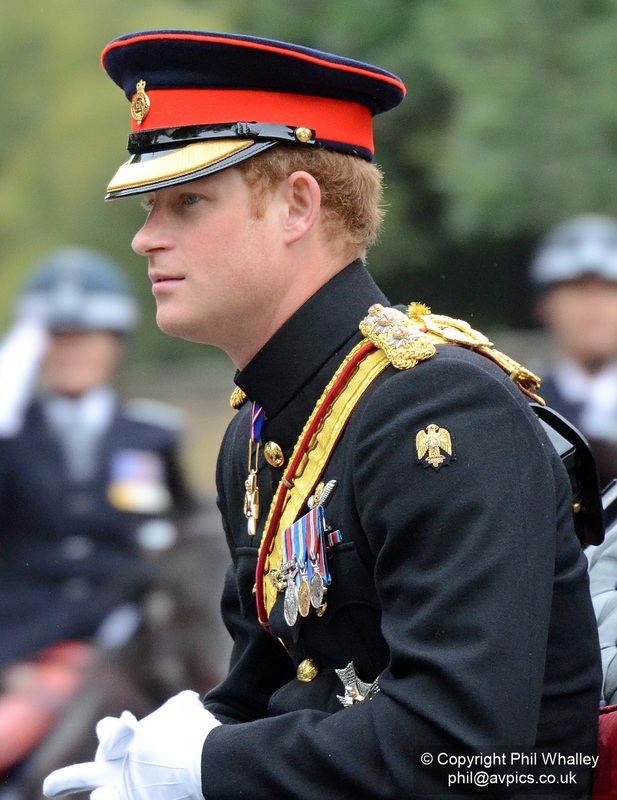 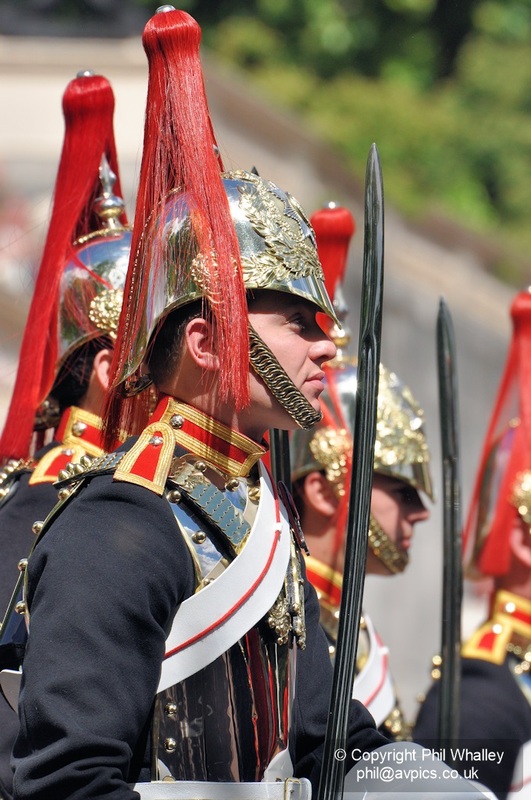 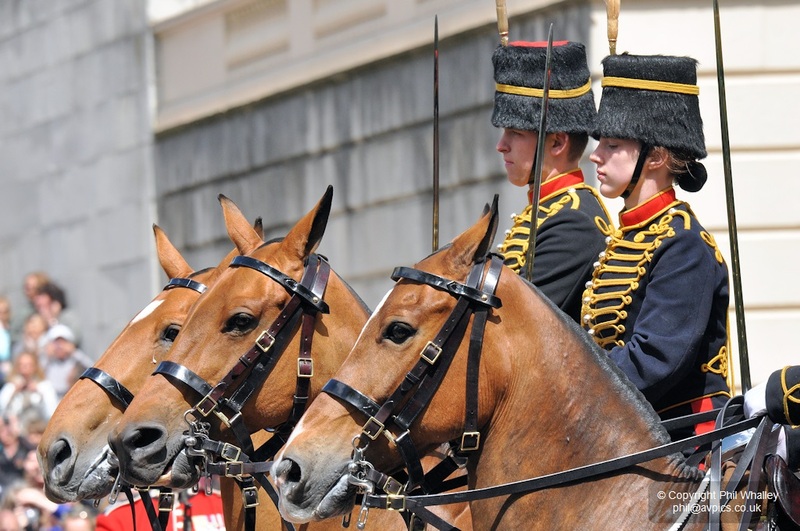 It has been a tradition of British infantry regiments since the 17th century, although the roots go back much earlier. 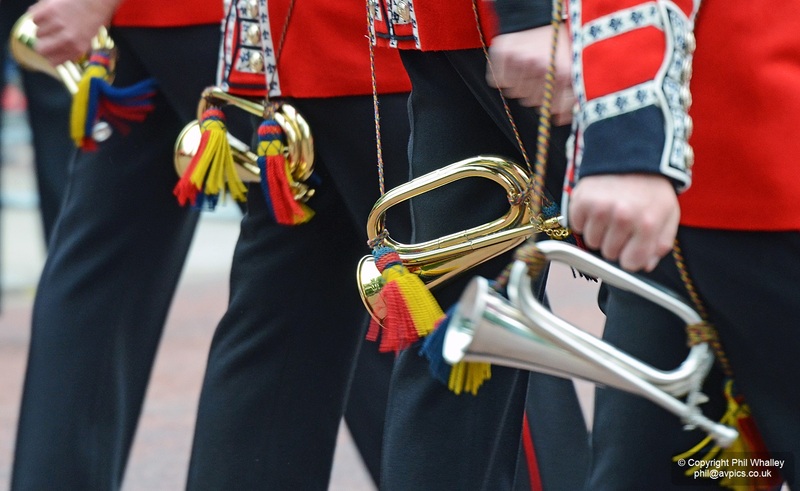 On battlefields, a regiment’s colours, or flags, were used as rallying points. 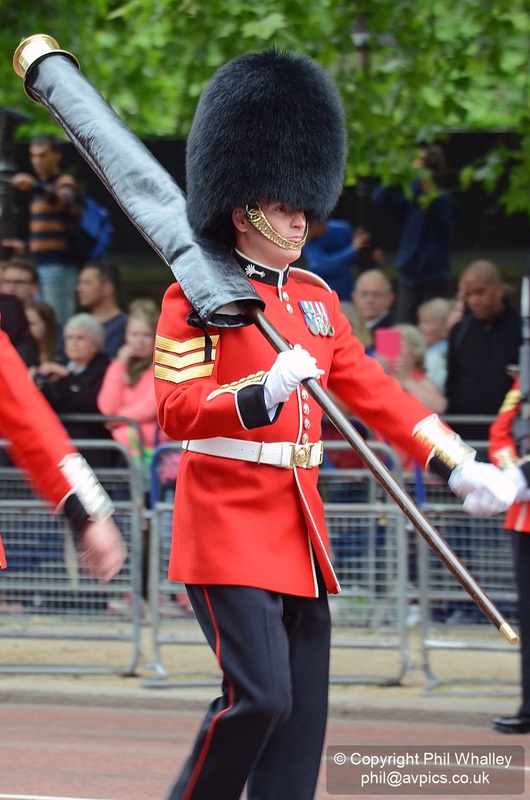 Since 1748 Trooping the Colour has also marked the official birthday of the British sovereign.The Colour being paraded on Horse Guards this year was the flag of Nijmegen Company Grenadier Guards. 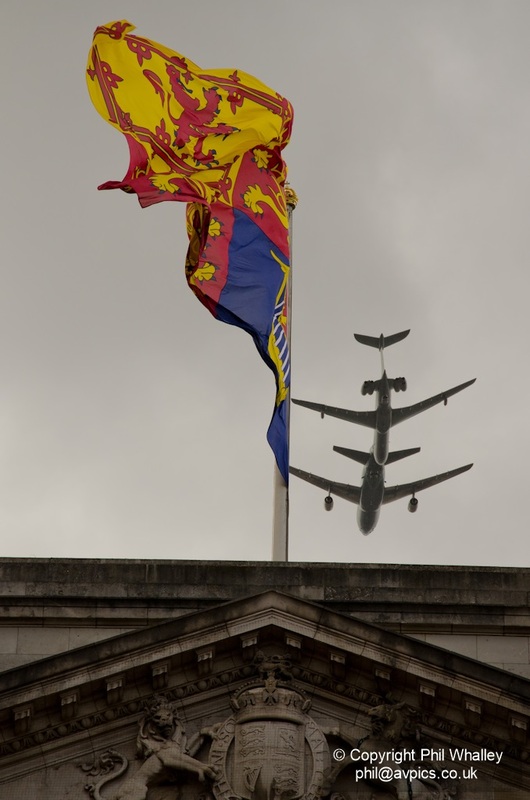 The weather for the whole event was sadly cloudy and dull, which particularly affected the flypast photographs. 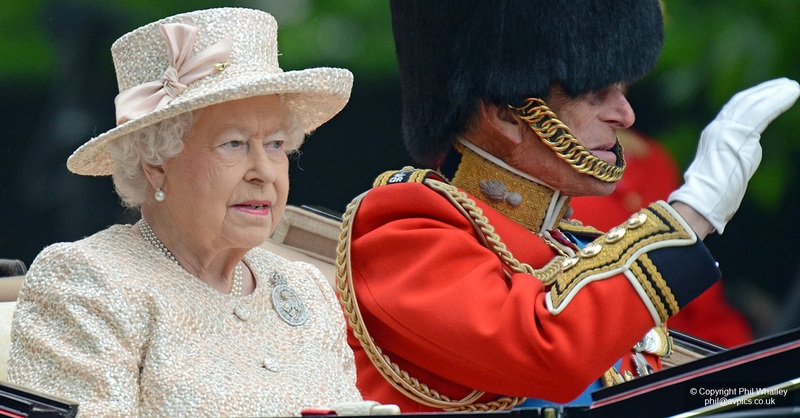 Trooping the Colour is a ceremony performed by regiments of the British and Commonwealth armies. 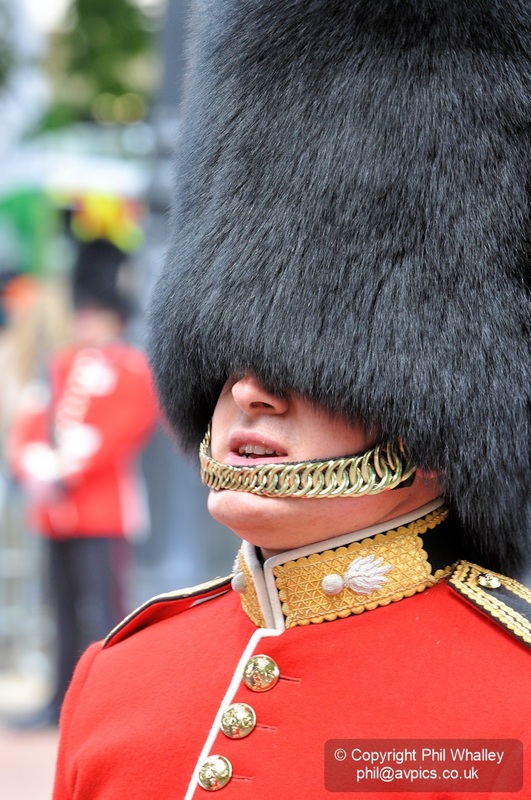 It has been a tradition of British infantry regiments since the 17th century, although the roots go back much earlier. 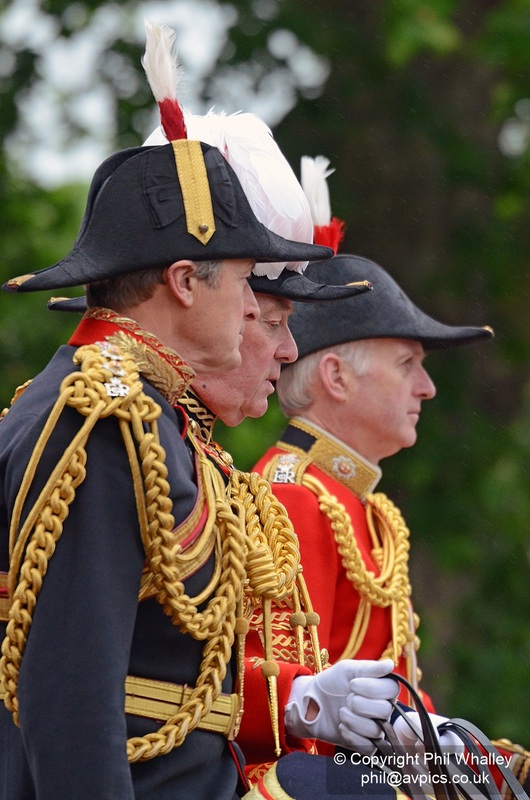 On battlefields, a regiment’s colours, or flags, were used as rallying points. 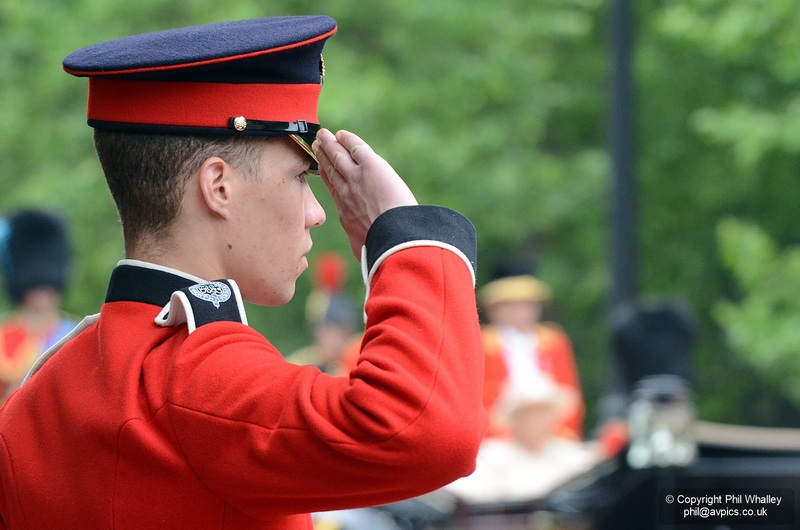 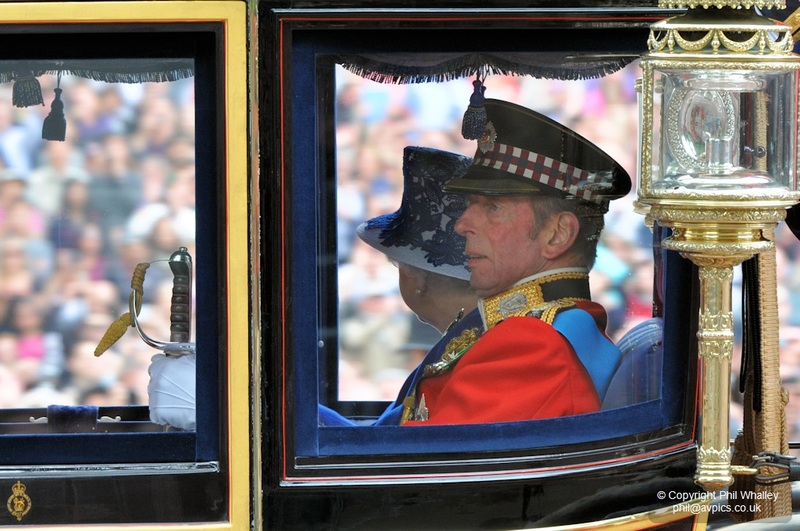 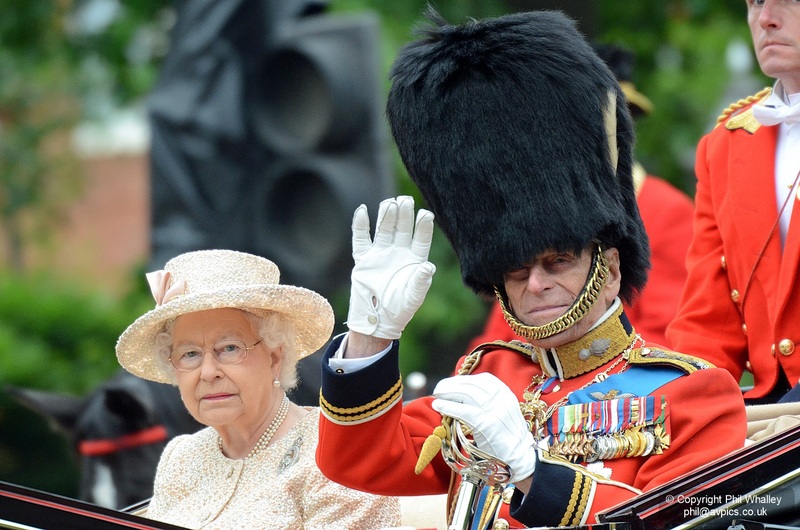 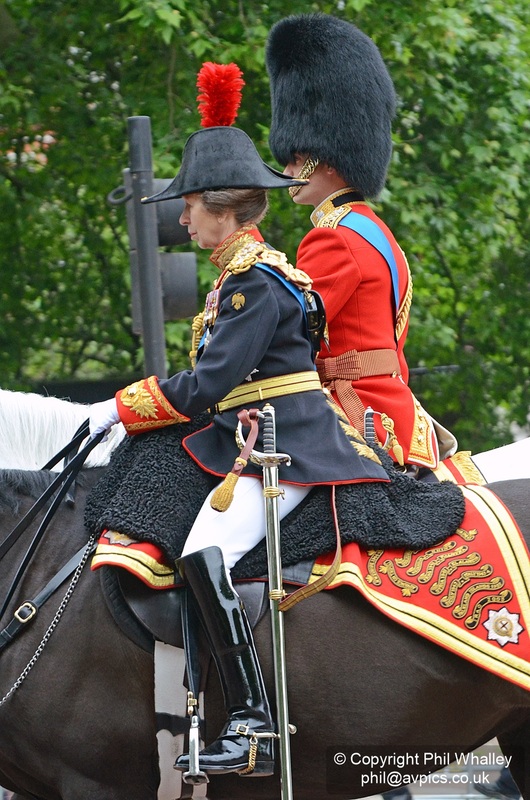 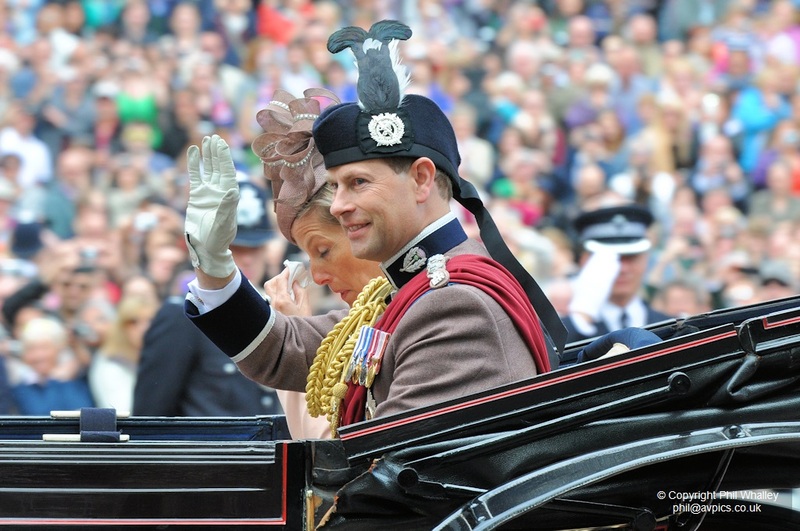 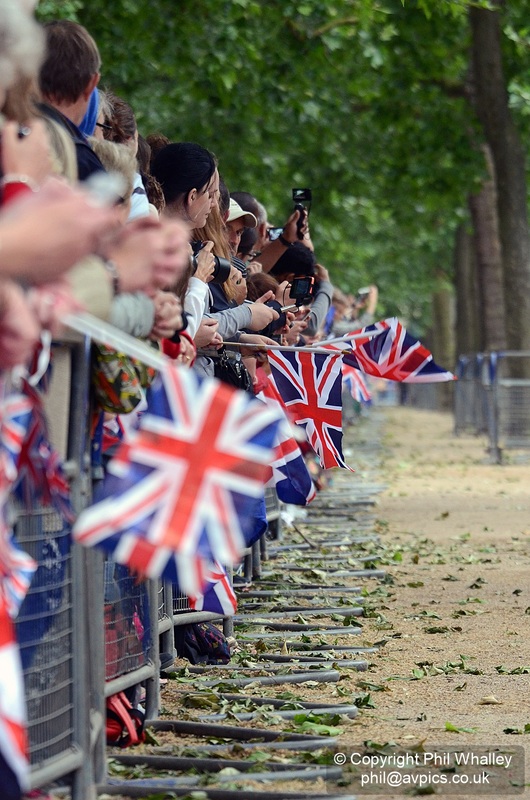 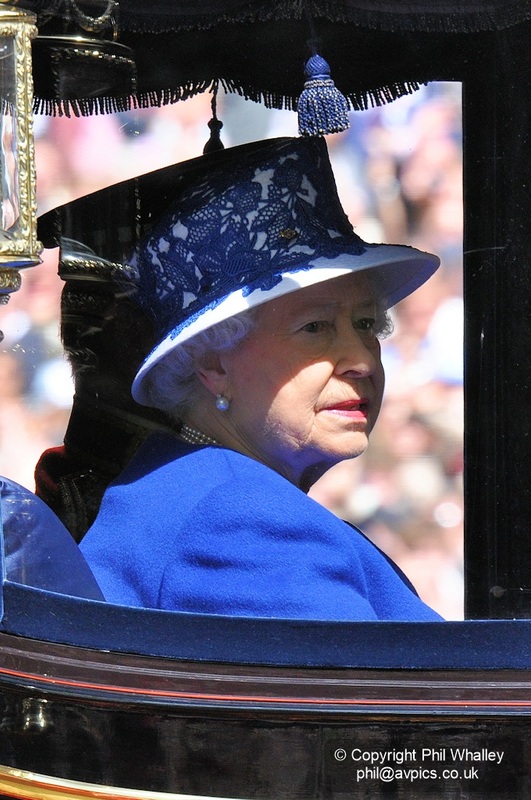 Since 1748 Trooping the Colour has also marked the official birthday of the British sovereign. 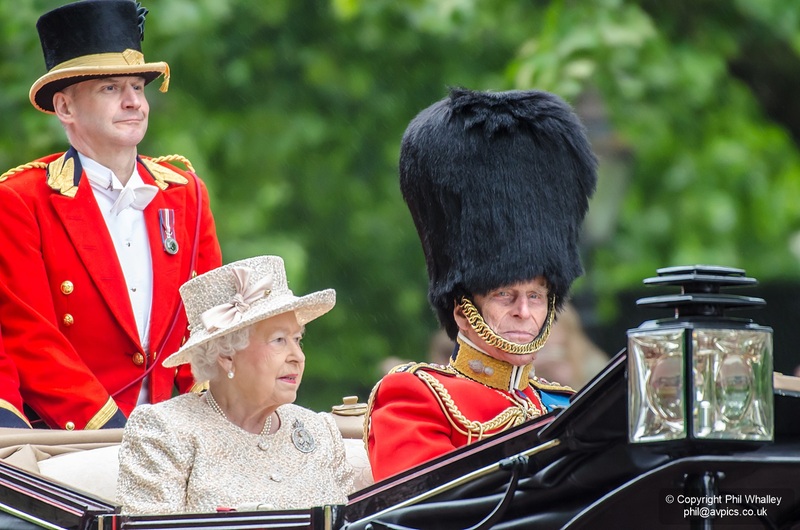 The royal family, marching bands and participating troops proceed from Buckingham Palace, along The Mall to Horseguards Parade where the ceremony takes place. 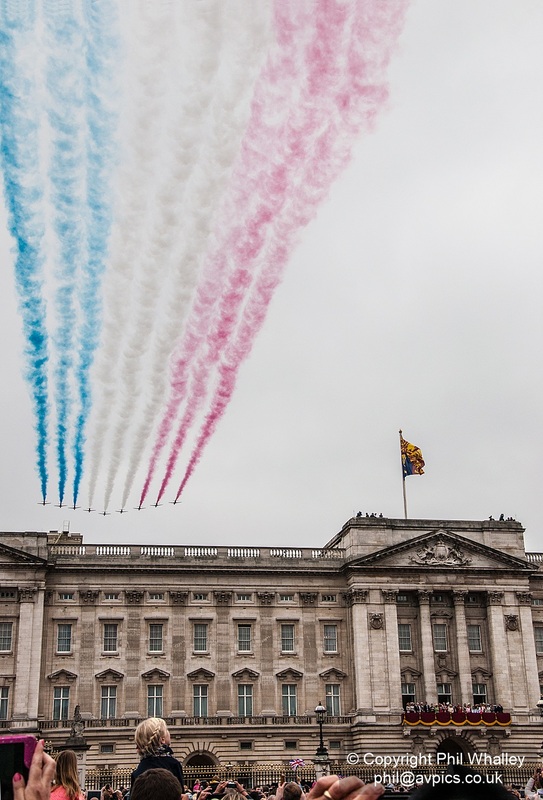 A return route takes the royal family back down The Mall to the Palace in time for the flypast, which the Queen and royal party view from the balcony.